Most of the interest today involved a steady up channel movement of birds offshore and feeding at the Patch. Over nine hours of watching produced 2600 Brent Geese, 12 Teal, 24 Pintail, 77 Shovelers, two Gadwall, 372 Common Scoters, six Eiders, nine Avocets, 41 Knot, an Arctic Skua, 46 Kittiwakes, 28 Little Gulls and 170 Sandwich Terns. 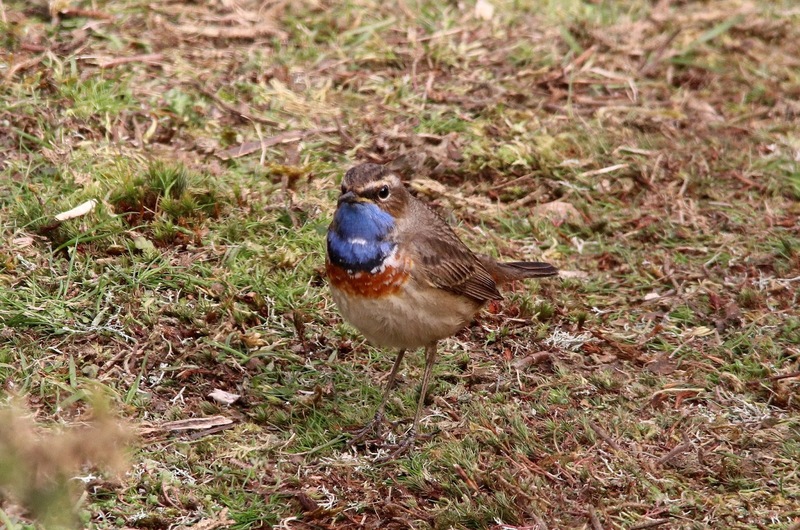 A first-winter Caspian Gull joined the throng at the Patch where the Glaucous Gull was also seen. 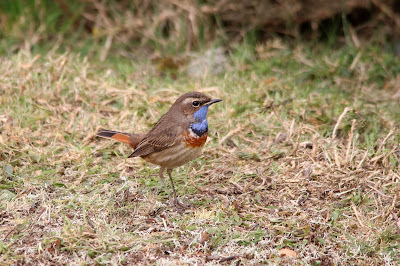 It remains quiet on the land with just three Black Redstarts, one Wheatear and five Firecrests of note. At least eight Porpoises were feeding offshore and two Brown Hares were seen in the Desert. 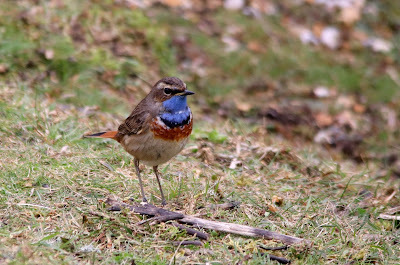 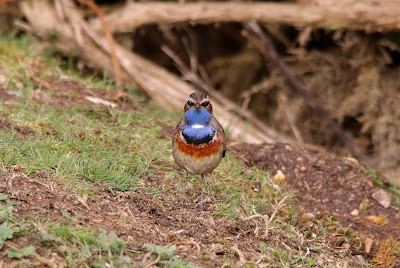 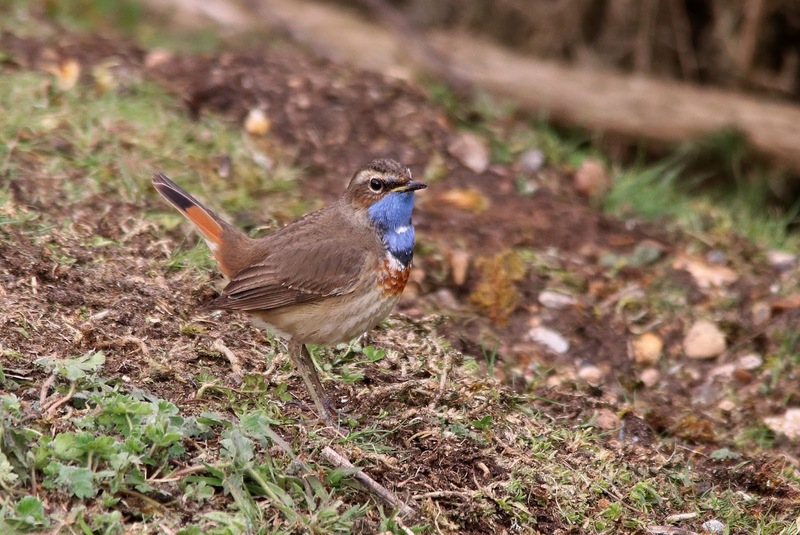 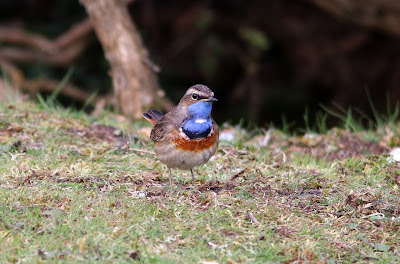 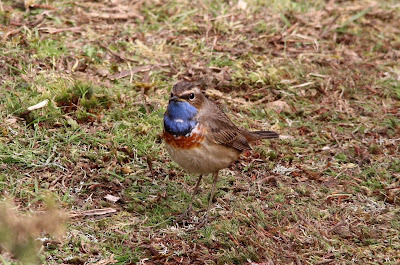 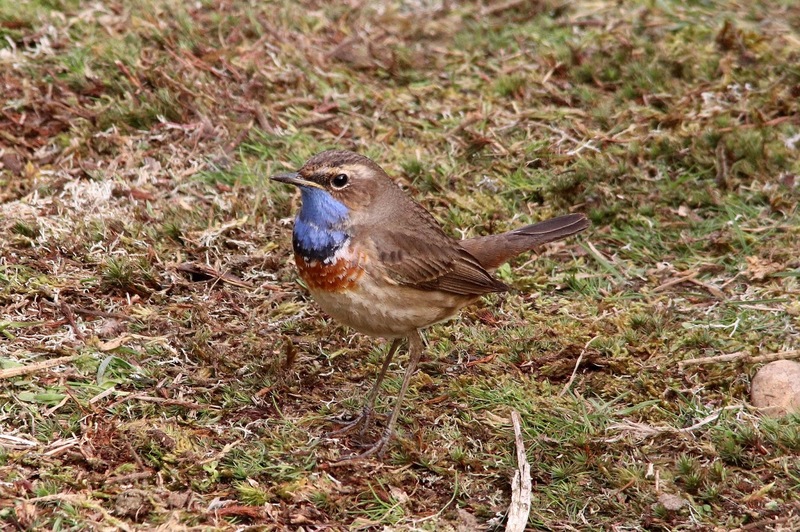 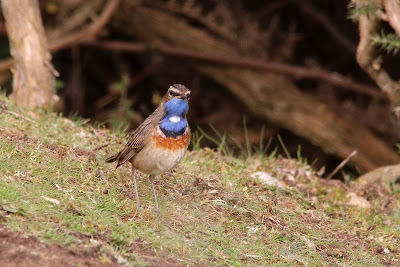 Elsewhere, the male White-spotted Bluethroat continues to give superb views at Dengemarsh Gully.